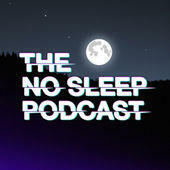 The No Sleep Podcast: Original horror stories, with rich atmospheric music to enhance the frightening tales. Pleasure Town: What's the price of happiness? For the people of PleasureTown, it could be their lives. Lore: Explore the darker side of history - the creatures, people, and places of our wildest nightmares. A Murder on Orchard Street: Follow the breakneck twists and turns of a strange, unsolved 2003 homicide.